I was only 12 and I knew how to make olive oil. My grandpa was a winemaker in Southern France, and he also had beautiful, century-old olives trees on his property. By the end of the summer, the olives were ripe. So we would spread a net on the ground under each tree, climb on a wooden ladder, and using a huge comb, we would brush the branches so that the olives dropped onto the net. We would then drive the collected olives to the local mill on a beat-up red tractor. The mill would press the olives, crush the pits, and extract the flesh, juice, and precious oil they contain. Waiting long enough, the oil would naturally come to the surface. We would then scoop it out and bottle it. It’s a very natural process. No heat, no solvents, no additives, and no “dirty” tricks like those used by the processed food industry. Should you cook with olive oil? You bet. The health benefits are just too great to pass on. Should you cook with other fats? Take a look at this week’s reader questions. It’s more than okay to use coconut oil. In fact, along with extra-virgin olive oil, it’s one of the best choices you can make. It does give a taste to food, and burns sooner than other fats. That’s why I usually prefer to cook with extra-virgin olive oil, but coconut oil is just fine. 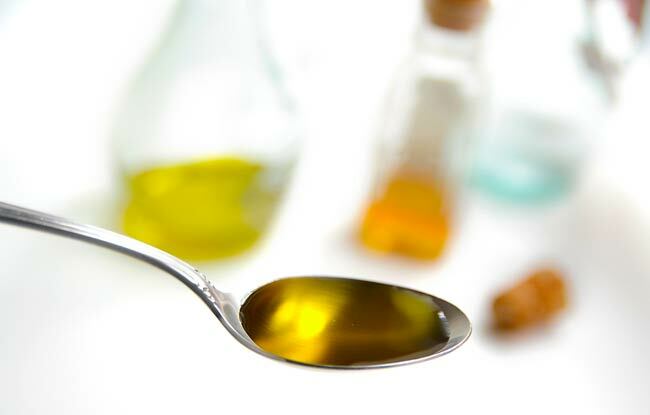 Unfortunately, safflower, peanut, vegetable, or canola oil are just heavily processed oils and should be avoided. You need to get 2 good extra-virgin olive oils. First I recommend a generic brand that is affordable (such as Vigo or Bertolli for instance) to cook with. And then go with the best extra-virgin olive oil you can afford to drizzle or make your salad dressings shine. That second olive oil should come from a small estate (not a big producer like the ones mentioned above). I also recommend tasting the oils so that you can select the one that most pleases your palate. Actifry is a low-fat appliance that reproduces the taste and appearance of fried foods. It works by cooking foods while only using 1 spoonful of oil. The truth is, I can’t judge because I have not tried it. One more thing. Remember that fat doesn’t make you fat. So with moderation, you can use smart fats like coconut or extra-virgin olive oil to cook with, and give a nice golden crust to your food.